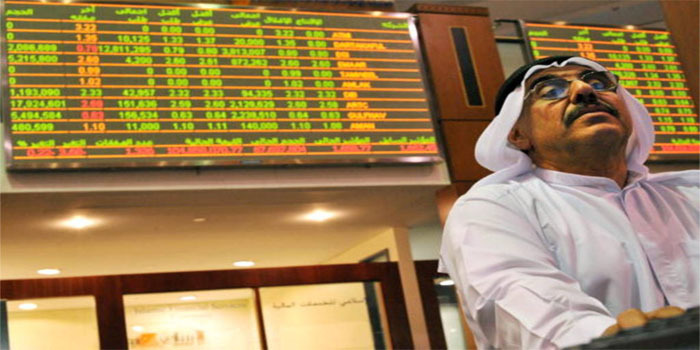 The Dubai Financial Market (DFM) closed Monday’s session 0.60% or 15.8 points higher to 2,634.29 points. The increase was backed by the news on a possible merger between Shuaa Capital and Abu Dhabi Financial Group (ADFG) announced on Sunday. The real estate segment topped the gainers with 1.48%, in line with the 9.43% rise of Union Properties, followed by Emaar Properties with a gain of 2.14%. Meanwhile, the telecom sector led the decliners with 0.38%, dragged by du which went down 0.38%. The DFM’s liquidity increased to AED 178.15 million ($10.3 million) on Monday from AED 110.75 million in the previous session, while the trading volume grew to 145.51 million shares from 116.39 million. Market cap gained AED 1.57 billion ($427 million) to reach $350.17 billion from $348.59 billion.